I need to get myself in to a m135i, I will most likely have to buy it on finance..
How do I go about getting myself one? what is the easiest/best way? where do I look and what do I look for? (11-02-2019 09:21 AM)KingKalie Wrote: I need to get myself in to a m135i, I will most likely have to buy it on finance..
Hello Make sure its post 2013 so you can get a nice EWG N55 motor, the N55 PWG has a smaller turbo with less aftermarket gains and is noticeably cheaper. Check the condition of the charge pipe and water pump. Make sure you're not buying a used and abused M135i. The three doors are becoming more sought after. If you want to mod straight away it's always good to map out what you're planning to do with different options. Tuning options for N55 just keep getting better and better. The M135i is the best hot hatch out there IMO, the on the edge feeling you get from the short wheel base RWD open diff beast is unparalleled. The M135i only came in manual and with the 8 speed ZF torque converter auto box,not DCT,which I actually prefer over DCT boxes. Also how are these as daily drivers? (11-02-2019 10:07 AM)KingKalie Wrote: Also how are these as daily drivers? [/quote]About 8l/100km not too shabby. Not that quick off the line stock, so you wont be punishing any 7R's or S3's robot to robot. Highway runs with a ZF8 gearbox are fun but you need to remove the torque limiters too. DSC off is alot of fun if you know how to work an open diff. I find Sport+ and Sport redundant. To truly appreciate the N55 you need to pick up the power to 290-320 WKW. Its such a reliable engine at this power output. I can't agree with you on keeping it stock bud lol. What are service costs like out of motorplan? I recently did a oil change on mine out of plan - diy with oem bmw parts. (11-02-2019 11:18 AM)M135i Wrote: I recently did a oil change on mine out of plan - diy with oem bmw parts. Who on the forum can I speak to that has lots of experience and solid advice on vehicle finance? It’s a lot faster than a std golf R.
I did some robot to robot pulls against a friends carrera 4s. 2014 NA. He couldn’t get any gap on me. Virtually head to head. It’s a awesome daily driver and proper bang for the buck. Brakes are very good. Handling leaves some to be desired. Look for a clean straight one. You won’t be sorry. Great choice, very fun car to have. Much prefer it over a Golf R and S3, those are quite boring drives comparatively. Manual would probably be fun but the auto is great, quick shifts and very responsive. Fuel economy not the best, but it is a 3.0 turbo. Golfs are also heavy on juice when driven spiritedly. On mods, the charge pipe is necessary as the stock 1 is bound to break. After a while you may want a downpipe to free up that sweet tone of the car and some extra horses. I’ve got my car up for sale. Have a look if you’re keen. (12-02-2019 06:37 AM)abd_baker Wrote: Great choice, very fun car to have. Much prefer it over a Golf R and S3, those are quite boring drives comparatively. 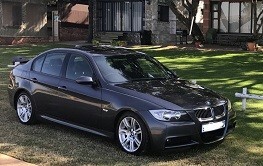 Absolutely love my m135i (auto) to bits and i will never sell it. i have a November build 2013 which is EWG, anything with a build date after JULY 2013 (not reg date) will be an EWG. I went for the m135i over a 235 due to the hatch it can actually for quite a decent amount of stuff in it. Out of interest, what car/s do you own? All I've seen is your e36 thread and 'finicky' is an interesting word..
Also, don't allow where a car is situated to put you off. If it's out of budget, that's another discussion all together, but in my experience, the right car isn't necessarily closest to you.